Home News Jason Day Lends His Support To Shane Warne’s ‘Sandbelt Classic’ Pro-Am. Jason Day Lends His Support To Shane Warne’s ‘Sandbelt Classic’ Pro-Am. 5 months ago by Fatiha Betscher Comments Off on Jason Day Lends His Support To Shane Warne’s ‘Sandbelt Classic’ Pro-Am. Top-ranked Australian Jason Day is lending his full support to a proposal by cricketing legend Shane Warne to host a full Tour-sanctioned celebrity golf pro-am on Melbourne’s famed ‘Sandbelt’ courses. Warne has hinted the idea of staging a tournament to rival the likes of the Alfred Dunhill Links on the European Tour and the Pebble Beach Pro-Am on the PGA Tour. “Everyone around the world had heard about the Melbourne Sandbelt courses and how good they are and I think the pros will take the opportunity to come down to Australia and play such an event,” said Warne to Australian Golf Digest. Warne is no stranger to celebrity golf and is a regular teeing-up each October at the Alfred Dunhill Links and just last fortnight he partnered New Zealand’s Ryan Fox in a pro-am ahead of the World Cup of Golf at Royal Melbourne. 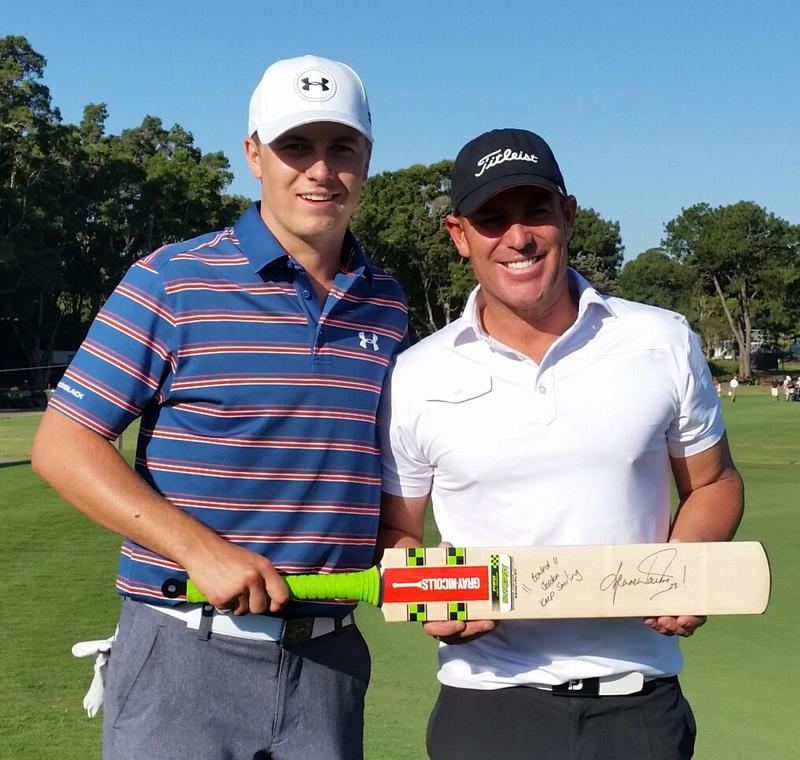 In 2015, Warne partnered three-times Major winning Jordan Spieth in the Australian Open Pro-Am at the Australian Club and presented the American with a signed cricket bat. Warne already has selected a tournament name ‘The Sandbelt Classic’ but it will, of course, require a sponsor. “I wish there was someone who would come in and put up the money for a tournament where you play all the ‘Sandbelt courses, call it the ‘Sandbelt Classic’. 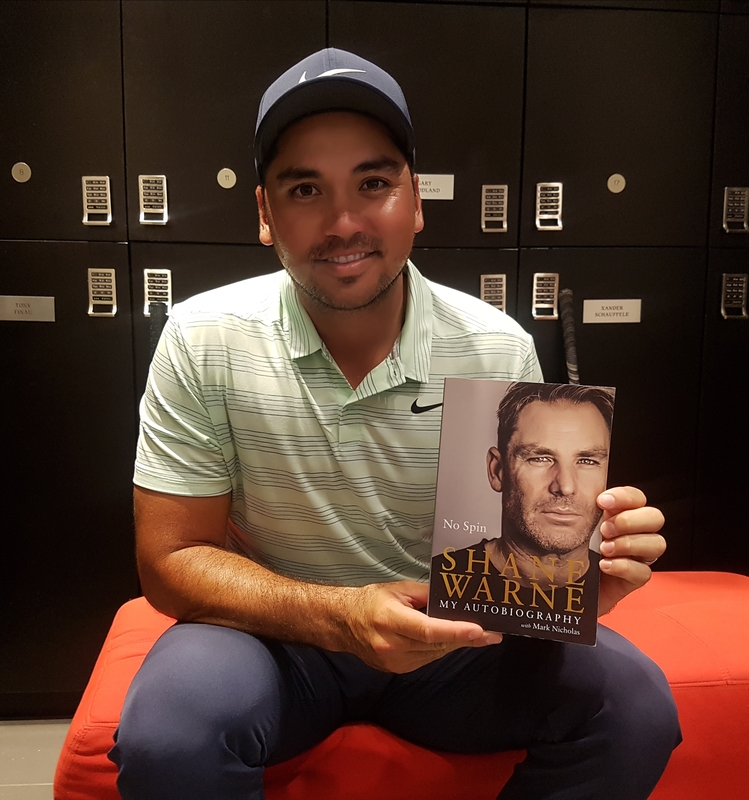 Day, who was heading into a Festive Season break with a copy of Warne’s autobiography ‘No Spin’, is thrilled someone of Warne’s worldwide sporting stature is keen to get behind the idea. “Shane Warne is one of the most popular sports stars in Australia,” said Day at the close of Hero World Challenge in the Bahamas. “He was a tremendous bowler, a tremendous cricketer and now superb commentator on the game, and who is so widely-known in the sports world in general. “So, if he Shane is thinking of trying to get support for a kind of Dunhill Links style of professional/amateur tournament in the Melbourne ‘Sandbelt’ region that would be great news for the game in Australia. “If it could be arranged and with a main sponsor to come onboard supporting the tournament and the format, and for it be held in Australia’s golfing capital on one of the ‘Sandbelt’ gems then that would be pretty special. “What will be key though is what backing the event would attract in terms of the Australasian Tour and being co-sanctioned by another tour. “You will need the players, including a number of marquee players to commit to the tournament while I can see no concern with spectator support as Australia does not have in place a tournament such as the Dunhill Links or the Pebble Beach Pro-Am. “What will be awesome, and if it goes ahead, is that it can be staged one on so many great golf courses right on Melbourne’s doorstep. We had Metropolitan playing host last week to the World Cup and this time next year the Presidents Cup is returning to Royal Melbourne. “The Melbourne courses really need no introduction and it would be a very positive step forward not only for Australia’s professional golfers but also help in the bigger picture in attracting more youngsters to the game.